To withstand the most demanding environments in the grain handling and transportation. 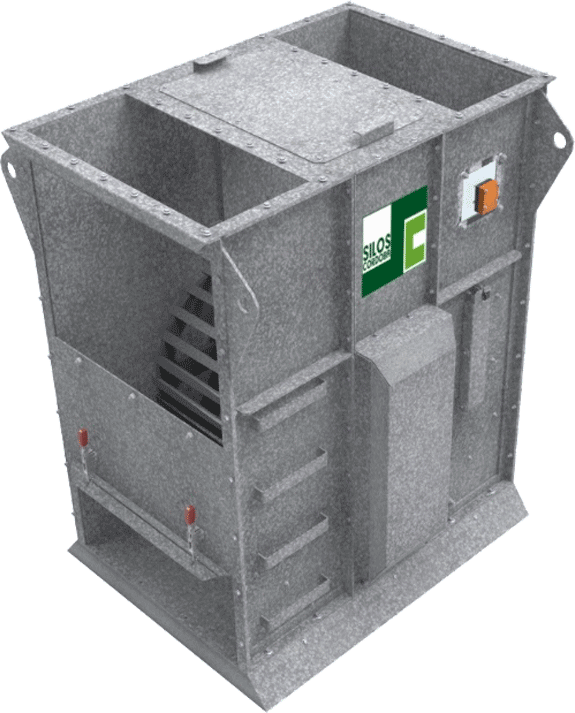 With this new model of bucket elevator, we go one step further in developing the range of heavy duty machinery, essential to meet the needs of customers with installations that handle large amounts of cereal 24 hours a day. 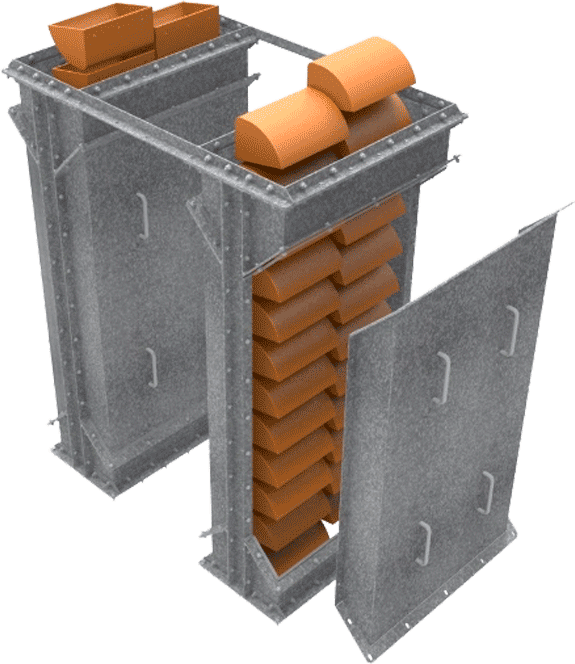 The main improvements and features of the new bucket elevator design are: inspection scuttle on the top for easier inspection and maintenance, highly resistant anti-wear steel in entrances and high wear areas, the intermediate sections have been simplified, welded solutions in critical areas and protection of the mechanical parts. ECH’s head section interior is protected by HARDOX 450. It features an integrated bearings control system and diverting band sensors. The gates are large and easy to open. 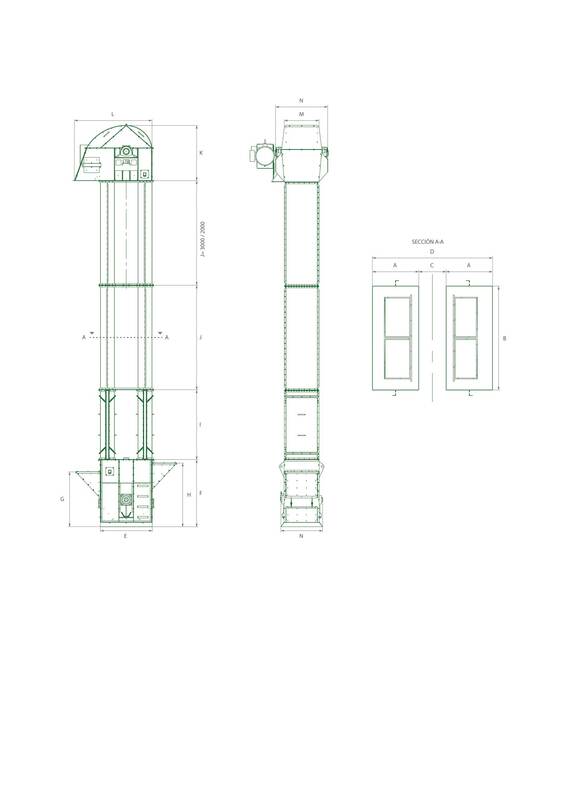 The torque arm is designed and manufactured by Silos Córdoba. Also, the bearing supports are reinforced with hot dip galvanized welded nerves. we have looked for a simplification of the component pieces for quick and easy assembly. The flanges are welded and hop dip galvanized. and the closure is quick. It is equipped with deviation band sensors and sides are reinforced with hot dip galvanized welded nerves. 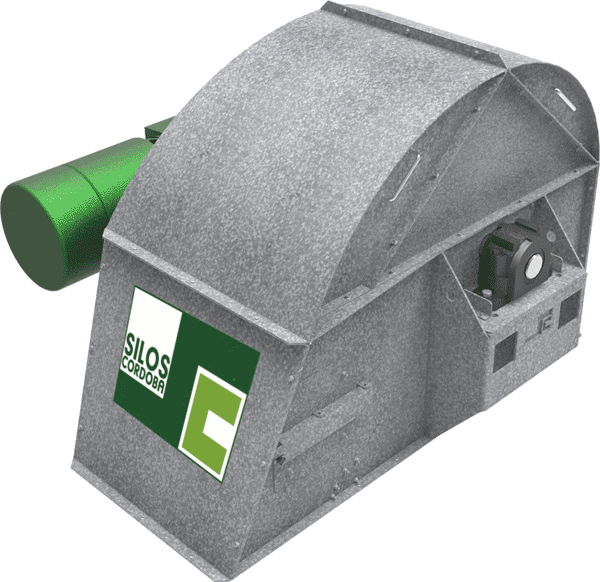 It features a new pulley design that prevents the accumulation of grain inside and provides an excellent performance. The entrances are protected with HARDOX 450.
of the belt and buckets. 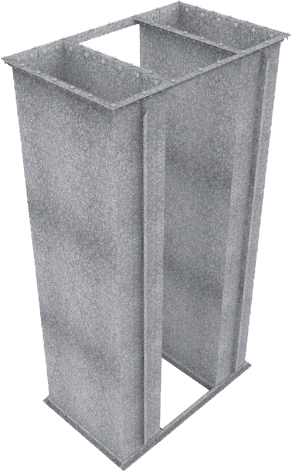 Made in welded and hot galvanized plate, the register section incorporates doors on all sides, facilitating inspection and installation of the band and buckets. * Specified values have been determined taking a 750 kg/m3 material as reference. Data shown are theoretical and may vary depending on the material and the drive system selected.